Golfers have spoken and GolfAdvisor agrees: Jack Frost National Golf Club is one of the best courses in America. 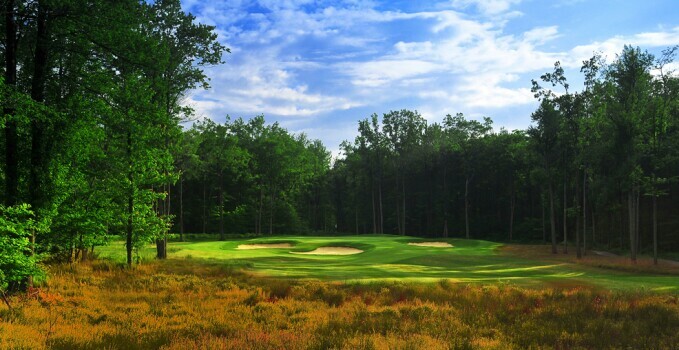 Nestled in Pennsylvania’s Pocono Mountains, Jack Frost National was recently named a “Top 50 U.S. Golf Courses in America” by GolfAdvisor, the trusted home of more than 200,000 reviews and recommendations for golfers by golfers. Ranked No. 17 (out of more than 2,500 eligible), the Blakeslee, PA course earned 4.7 (of five) stars from users whose reviews measured overall course design, conditioning, customer service and affordability. Meandering through mountainous terrain encompassed by a thick oak forest offering majestic vistas, Jack Frost National quickly became a favorite among locals and visitors when it opened in 2007. Named a “Best New Course” by Golfweek, the 18-hole, par-72, 7,256 yard track presents wide fairways, easily identifiable target areas, few uneven lies and no blind shots. Click HERE for the complete GolfAdvisor review.